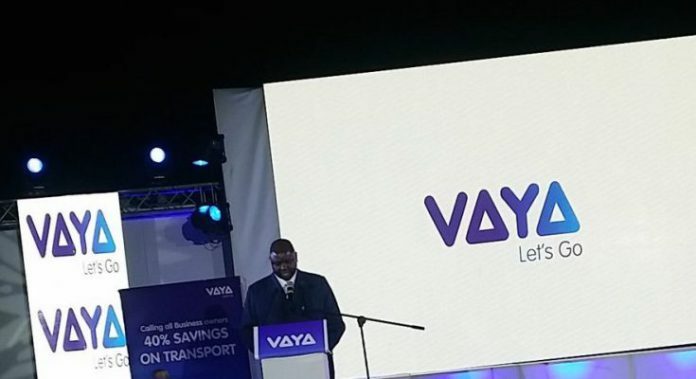 Africa Telco giant, Econet through a subsidiary Cassava has launched its ride-hailing service provider called Vaya Lift in Harare, Zimbabwe. Cassava smart-tech Zimbabwe is a subsidiary of Cassava Smarttech international. Which in turn is a subsidiary of the Econet Wireless Group, which was founded by Strive Masiyiwa. EcoCash, EcoSure, and EcoFarmer are all roofed under Cassava Smarttech. Vaya Lift’s app is already available on both Android and iOS. Eddie Chibi, the Cassava Smarttech Zimbabwe CEO, said that they already have drivers on the app. “As we speak, we already have over 500 active drivers and the number is growing on a daily basis, but we have stepped up our recruitment drive,” he said. Towards getting more drivers to sign up, the company is now offering 10 liters of free fuel, US $5 worth of airtime and free comprehensive EcoSure mobile cover. They also stated that riders can actually make up to $1,000 a month. A claim some existing drivers on the app backed in their testimonials. For the new individual riders, the company is offering 5 free rides. While the number goes to 100 free rides for new corporate clients. Of course, they will make payments through EcoCash. Vaya Lift comes with the latest security features that Uber unveiled recently across EMEA. These include the option of using a panic button when in danger as well as adding a number for the next of kin. “We are launching a piece of a lot of other things which [we] are going to see in the next couple of weeks if not days,” Chibi said. While Eugene added that their aim is an app that can allow one to access anything on demand.